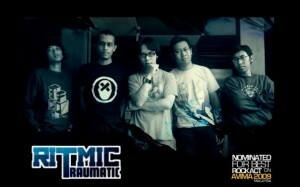 The Rundown: Formed in 2007 in Surabaya, Indonesia, Ritmic Traumatic is a great new Indie Rock band. The band consists of Raymond as the leader signer, Vans on guitar, Noe as rhythm guitar, Filemon on bass and Hary the drummer. 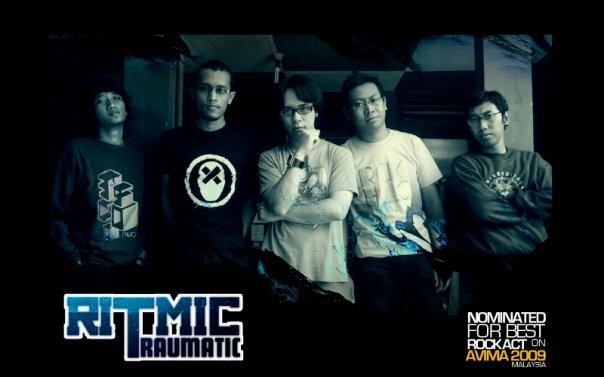 In 2009 Ritmic Traumatic released a “mini-album” called “Depth of Field“. Honestly, I haven’t been able to find a lot of information on this band. All I can tell you is based on the two YouTube videos I’ve seen of them. And if those videos are any indication, this band is pretty awesome. Their song “Get Back” is really good and doesn’t sound mainstream or manufactured. It’s just a good rock song. They also have a song called “320” that you might like. “320” starts off pretty cool, and it’s definitely what first hooked me. And for the life of me, that “scream” type thing he does at the beginning reminds me so much of some other band or singer, but I just can’t think of the name right now. I’ll let you know if I remember. MarsBands.com orders you to check out this band!